Maybe someday anti-aging will really reverse aging and keep us young forever, but until that day current anti-aging discoveries are at least helping to slow down specific aspects of the aging process. This spring, scientists at UC Berkeley discovered a drug called the Alk5 kinase inhibitor that helps restore brain and muscle tissues to youthful levels through stem cells used in tests on mice. The Alk5 kinase inhibitor limits the release of TGF-beta1, a chemical that restricts a stem cell’s ability to repair the body. This chemical tends to become over-produced as people age, but in restricting its release, it is hoped that the Alk5 kinase inhibitor can keep people healthier in old age by lessening the onset of aging related diseases, such as Alzheimer’s, increasing the quality of life and cutting down medical costs. The inhibitor is currently in trials as an anticancer agent, and the hope is that one day death will not be the result a prolonged, painful disease, but through a quicker, more natural means like cardiac arrest or stroke. Here’s what Irina Conboy, one of the scientists at UC Berkeley, said about the motivations behind the team’s efforts. One of the main goals of regenerative medicine has been developing the ability to produce hematopoietic stem cells (HSCs) suitable for blood cell transplants, or bone marrow transplants. These transplants are limited by the challenge of finding a good match and the rarity of naturally occurring HSCs, but in 2014 researchers at the Harvard Stem Cell Institute programmed mature blood cells in mice into reprogrammed HSCs by reversing the process of stem cells, to progenitors, to mature effector cells. Tests have not yet been performed on human subjects, but the progress seen so far is enough to make Stuart Orkin of the Harvard Stem Cell Institute, feel very confident about the future. This discovery could have a radical effect on transplantation You could have gene-matched donors, you could use a patient’s own cells to create iHSCs. It’s a long way off, but this is a good step in the right direction. But that’s not the only advance in stem cell research. This year, scientists at the Salk Institute discovered a type of stem cell whose identity is tied to their location in a developing embryo, and not their time-related stage of development. These region-selective pluripotent stem cells (rsPSCs) are easier to grow in the laboratory, offer advantages for gene editing, and, unlike conventional stem cells, have the ability to integrate into modified mouse embryos. As Jun Wu, a postdoctoral researcher describes; understanding the spatial characteristics of the stem cells “could be crucial to generate functional and mature cell types for regenerative medicine.” It could well be that in the near future, parts of the body that have degenerated due to age, could be regenerated at will by the introduction of these fascinating stem cells. We have previously featured nanobots in medicine, but there are many more theoretical uses of nanomedicine that could someday affect our lifespan. According to Frank Boehm, author of “Nanomedical Device and Systems Design: Challenges, Possibilities, Visions,” a conceptual Vascular Cartographic Scanning Nanodevice could scan the entire human vasculature down to the capillary level and transfer the image to a Pixel Matrix display, holograph, or virtual reality system, allowing for a detailed inspection of the system to find aneurysm risks, especially in the brain. A nanodevice imbued with data on toxins and pathogens could be used to enhance the human immune system by recognizing and destroying an invasive agent. Nanotechnology could also be used to remove lipofuscin, a product that accumulates in lysosomes negatively impacting cell function and manifesting in age related conditions. All of these technologies are speculative, but nanobots are already lengthening our lives in tests to fight cancer, and many believe such technologies are truly the future of the medical industry. At Transhuman Vision 2014, Randal Koene, a neuroscientist and neuro-engineer described his plan to upload his brain to a computer by “mapping the brain, reducing its activity to computations, and reproducing these computations in code.” While it sounds remarkably like that awful Johnny Depp movie, Transcendence, Koene and many neuroscientists believes that our memories, emotions, consciousness, and more are just the sum of signals from electrochemical signal jumps from synapse to synapse. Computer programmers have already created artificial neural networks that can form associations and learn through pattern-recognition, but they don’t possess the complexity of the human brain. 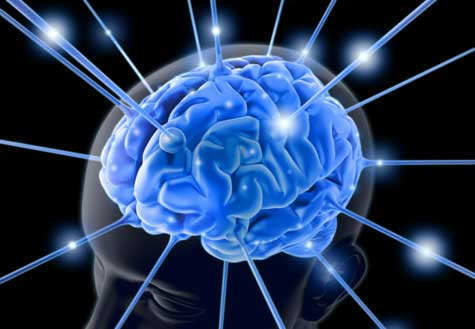 However, if our consciousness is just based on brain activity and if technology can record and analyze them, they could possibly be reduced to computations. Advances have already been made with animal tests, and in 2011 a team from the University of Southern California and Wake Forest University created the first artificial neural implant, a device that produces electrical activity that causes a rat to react as though the signal came from its own brain. – The Eyeborg: Canadian filmmaker Rob Spence lost his right eye in a shotgun accident and replaced it with a video camera that transmits what he’s seeing to a computer. 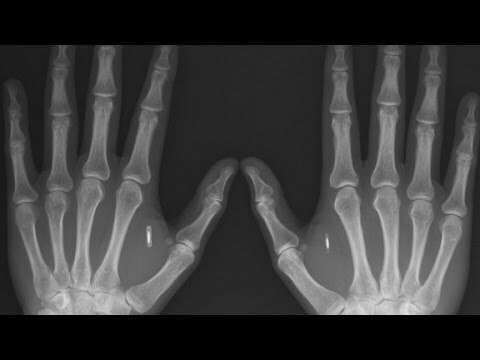 – Programmer Amal Graafstra has inserted radio-frequency identification chips in his hands connected to scanners on his doors and laptop, eliminating the need for keys or passwords. 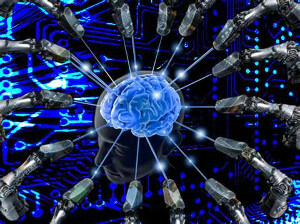 – “Transhumanists” advocate for cyborgization, genetic engineering, and synthetic biology, to increase our intelligence, health, and lives to transform humanity to a “post-human” stage. Current advances in anti-aging, regenerative medicine, nanomedicine, digital immortality, and cyborgization may only be focusing on prolonging life at the moment. But these technologies have already improved our lives, and as the possibility of immortality is played out on the movie screen, we can see the world of fiction slowly melding with our own reality.